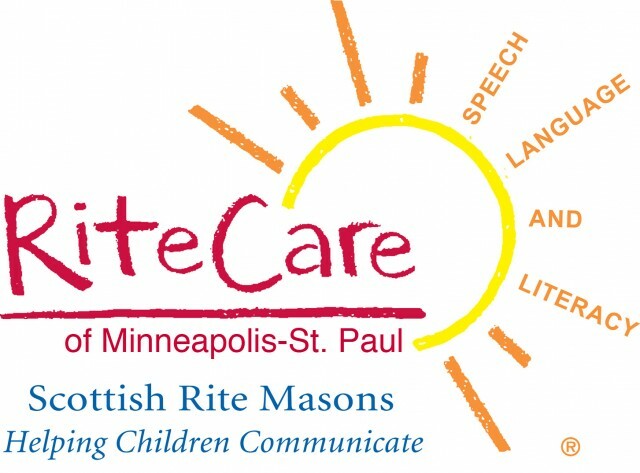 The Scottish Rite Foundation provides funding for the RiteCare of Minnesota and has operated the Clinic since 1990. The Foundation would like to help every family that reaches out for services. To do this, we need to increase both The Scottish Rite Clinic’s staff size and the space available for diagnosis and therapy. Operating a clinic with expanded space and staff and keeping up-to-date with important new technology and methods will require new partners and an increased commitment from our existing partners. The Scottish Rite Clinic is currently funded by earnings of the permanent endowment fund of the Scottish Rite Foundation and contributions received from individual, corporate and foundation funders. The following are some of the questions and corresponding answers that Masons may have regarding our capital campaign to help children with speech and language disorders. These are not intended to be all-inclusive, as we cannot anticipate every question. No question is a bad one, so if your question is not addressed here, or is not answered satisfactorily, please contact RiteCare Clinic Chair, Richard S. McGinnis, by email at rsmcginnis@aol.com. 1. Why does the Scottish Rite wish to sponsor this clinic? The Scottish Rite Childhood Language Clinics bring Masons together in support of a common cause. The clinic is a place where speech & language pathologists will focus their skills and compassion to help children learn to understand and use language. Education and concern for children have always been among the fundamental tenets of the Masonic fraternity. Helping children with speech and language disorders is a mission of the Scottish Rite of Freemasonry. 2. What is the connection between the RiteCare Clinics and the Scottish Rite? 3. Where is the clinic located? The clinic is located in the Pines South office complex in Elk River, Minnesota near Highway 169 and Main Street. 4. When will the clinic begin operations? Thanks to the generous support of Masons in Minnesota, the clinic has already begun helping its first patients. 5. How many children will be served each year? The clinic would like to serve 50 children in its first full year of operation, and more each year thereafter. There is currently a waiting list of 45 children hoping to receive therapy and treatment at the new Elk River Clinic. The RiteCare Clinic will focus on helping children from 9 months to 9 years of age. 6. Aren’t these services provided by the public schools? Unfortunately, the public schools can only service children who meet strict qualifying criteria as mandated by state and federal law. Many children with needs just miss the qualifying criteria and thus receive no service. In addition, school speech therapists have very large caseloads, which makes it difficult to provide enough time for servicing each individual child. RiteCare Clinics are able to provide these needed services when gaps occur. Without this help, children may not acquire the skills they need to become successful learners and communicators. 7. Will these services involve any cost to the families? All services at the RiteCare Clinics are provided without charge to parents or guardians. The clinic is sponsored by Scottish Rite Masons and is supported by voluntary contributions from its members, friends, private foundations, businesses and other dedicated persons and organizations. 8. How will the Scottish Rite raise the funds necessary to support the RiteCare Language Clinic? The Scottish Rite of Minnesota will conduct a capital campaign to raise the funds needed to operate the Elk River RiteCare Clinic and begin the planning for more clinics in Minnesota. The capital campaign will last three years and will also feature a three-year pledge period. 9. How will the proceeds of the capital campaign be spent? The clinic needs professional staff, test equipment, assessment materials, teaching aids, toys, office equipment and supplies, computers, televisions and audio/visual recording equipment. 10. What giving options will be available? Multiple options are available. Donors may choose a planned gift, a three-year pledge, a one-time gift, a renewable annual gift, or even monthly and weekly gifts. 11. Is this a one-time-only appeal? Support for the clinic will be needed during every year of operation. Donors to the capital campaign will be encouraged to become generous annual donors. 12. How can I volunteer? To volunteer your time and services in the fund raising campaign, please call the RiteCare Clinic Fund Raising Campaign Chair, Dave Kampf, at 952-238-0866 or by email at davek@windridgesystems.com.